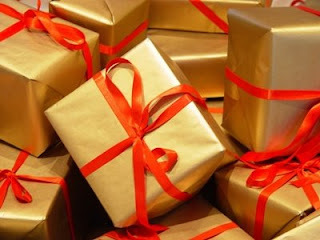 The Beauty of Life: Holiday Gifts: The Best Part of December! Holiday Gifts: The Best Part of December! December is here, and you know what that means ... it's time for tons of Holiday Gifts posts! Read The Beauty of Life throughout the month for tons of great gift ideas, spanning everything from hair and makeup to body and skincare. There's something out there for everyone, and this beauty chick will be bringing it to you all month long. So stay tuned! Susan -- Thank you so much for the wonderful comments. I'm glad to have you as a reader!